Let it snow. Let it snow. Let it snow. 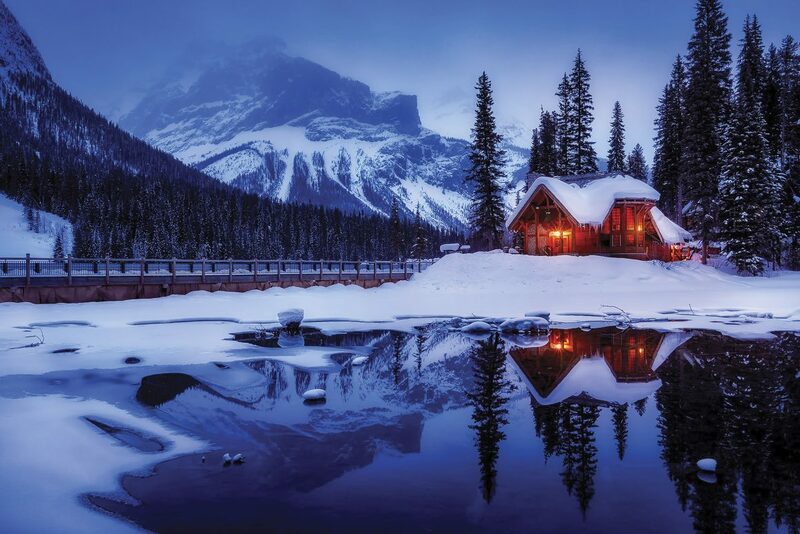 It’s time to hunker down and enjoy the warmth of the great indoors. At this time of year, there are few spaces more inviting than a well-designed bedroom, outfitted with beautiful linens, puffy duvets and fluffy throws. That goes for cozy living rooms and dens, too, where cushions and coverlets encourage us to sit a spell and warm up by a crackling fire. Here’s a selection of products to help you create rooms that shut out winter’s cold. 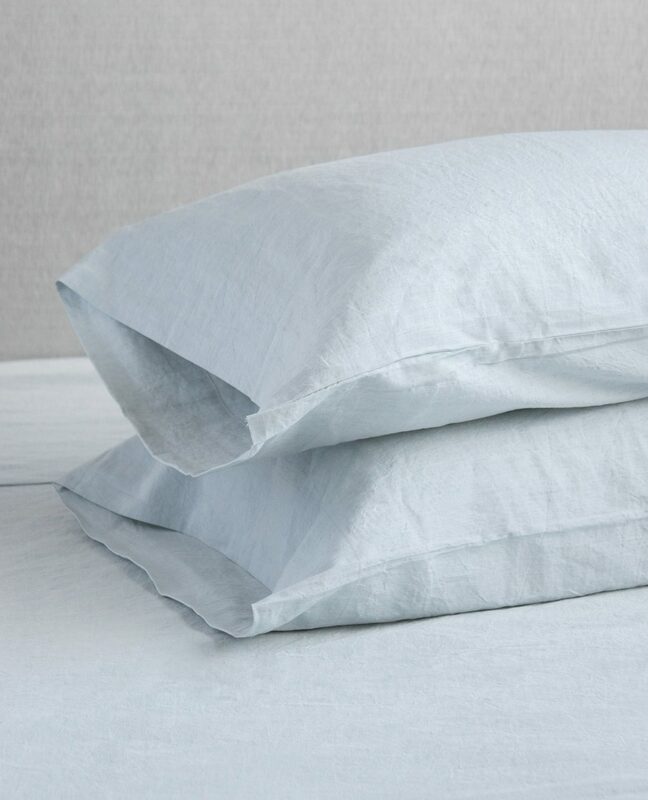 The blend of 50 per cent Belgian linen and 50 per cent long-staple cotton creates a soft pillowcase with a linen look. Pre-washing it softens the fabric and adds a casual appearance. 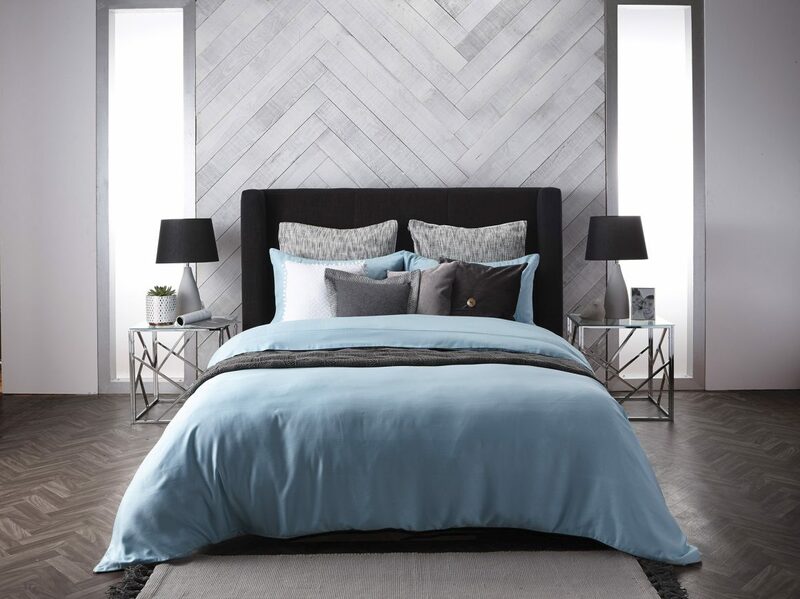 Woven in Italy and made in Canada, the Lavato Skylight collection features sheets, pillowcases, shams, duvet covers and bed skirts. 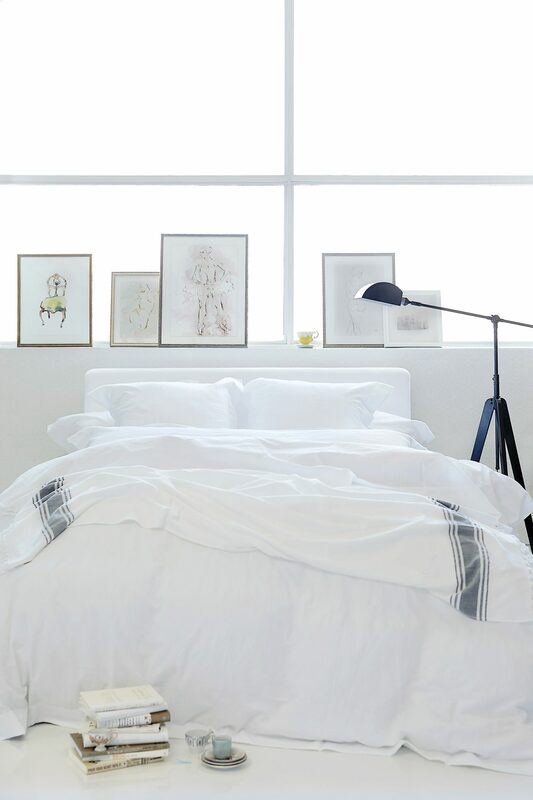 The Lavato White bedding collection is a blend of high-quality linen and cotton, woven in Italy. The pieces, which are made in Canada, are available in various colours. These super- soft sheets are crafted to transform a bed into a sleep sanctuary. The Lavato Dimora Grey collection is made of a pre-washed blend of linen and cotton that has a looser weave than the other Lavato linens. Offering a casual yet elegant appearance, these pieces are reversible, featuring a light grey on one side and a beige-grey on the other. 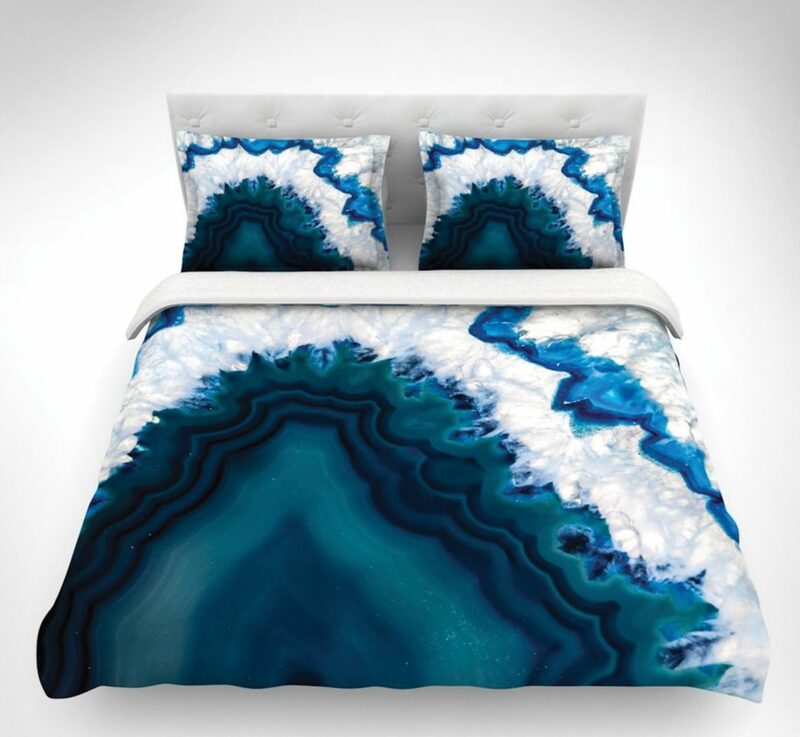 Available in shams and duvet covers. 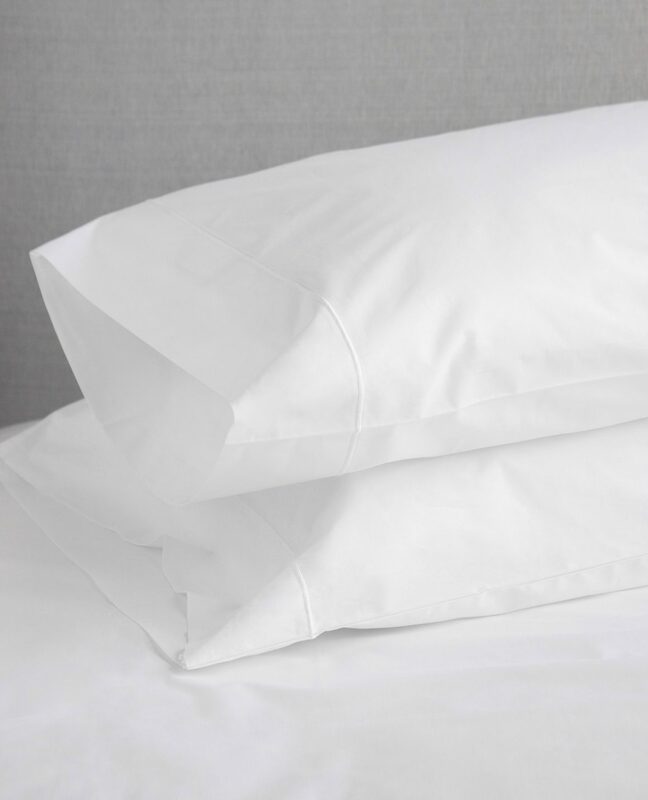 These 100 per cent bamboo pillowcases from the Cézanne collection are soft and silky, and will keep you cool throughout the night. They’re crafted in Canada of fabric that is woven in Italy. Sheets, shams, duvets and bed skirts are also available. Redolent of classic homespun design, this herringbone wool-blend blanket is perfect for warming up under in front of a crackling fire. Hand-crafted in Canada, it has a fringe border to drape over your favorite sofa or chair. Ships worldwide. Approximately four-by-5.5 feet. $303.87. 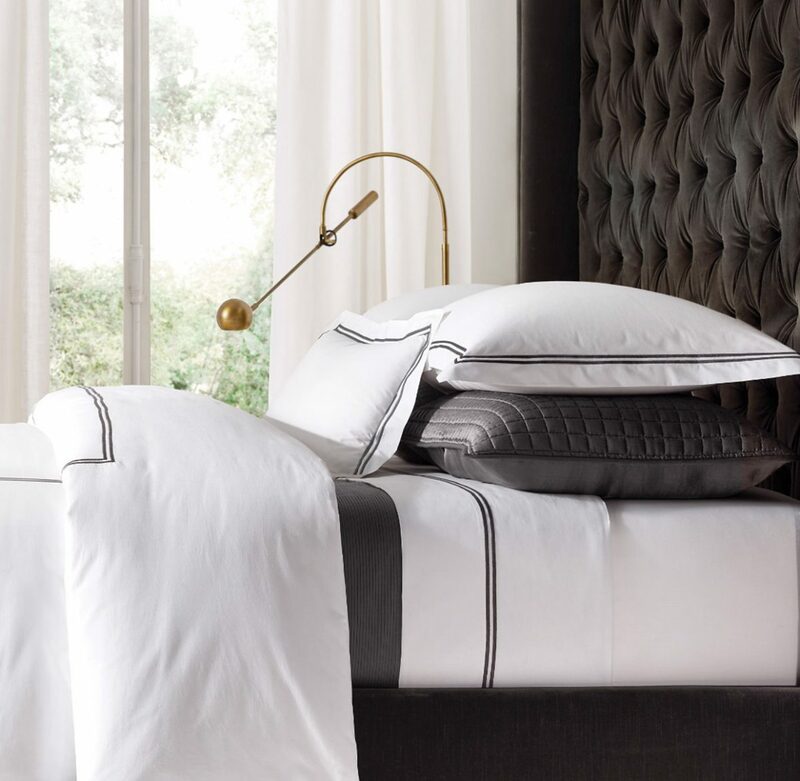 Carlo Bertelli, the third-generation creative director of Tessitura Toscana Telerie (TTT), the textile mill in Italy co-founded in 1947 by his late grandfather, is the creative brain behind this beautiful satin-stitch collection of 100 per cent cotton bedding. Regular use and laundering makes the 210-thread-count pieces softer. Make it an evening ritual to climb into a comfy bed, dressed with this pure cotton-velvet bedding with a stonewashed linen underside. Available in various earth tones, this quilt and sham collection is tuck-embroidered in a subtle grid pattern. 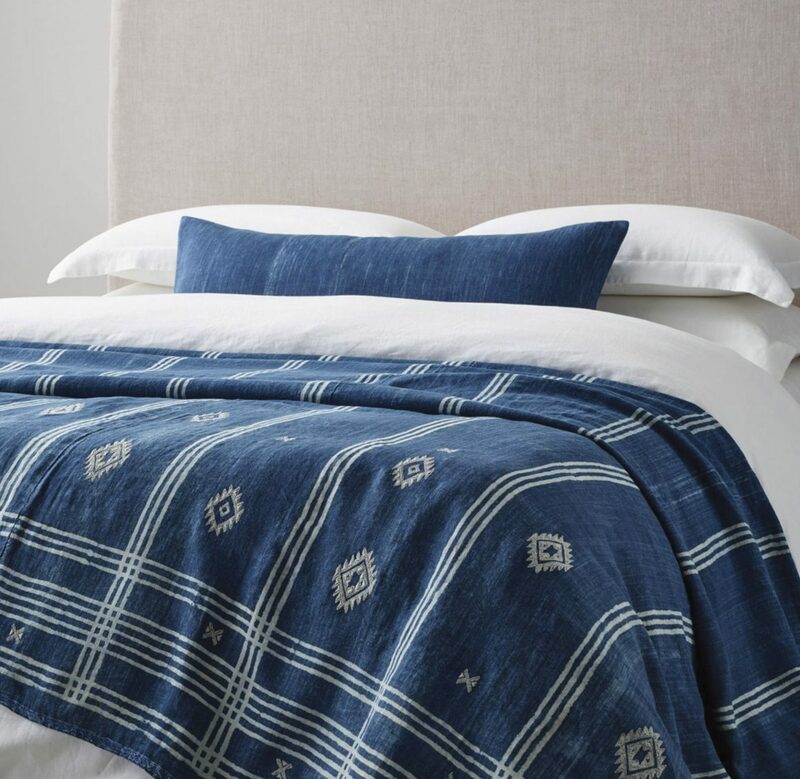 With a nod to ocean hues, Restoration Hardware’s tribal linen bed throw brings to life the art of mud-resist printing (dabu) of India. Artisans use carved wooden blocks to paint stripes on linen with mud, then dip the fabric in a natural dye bath. 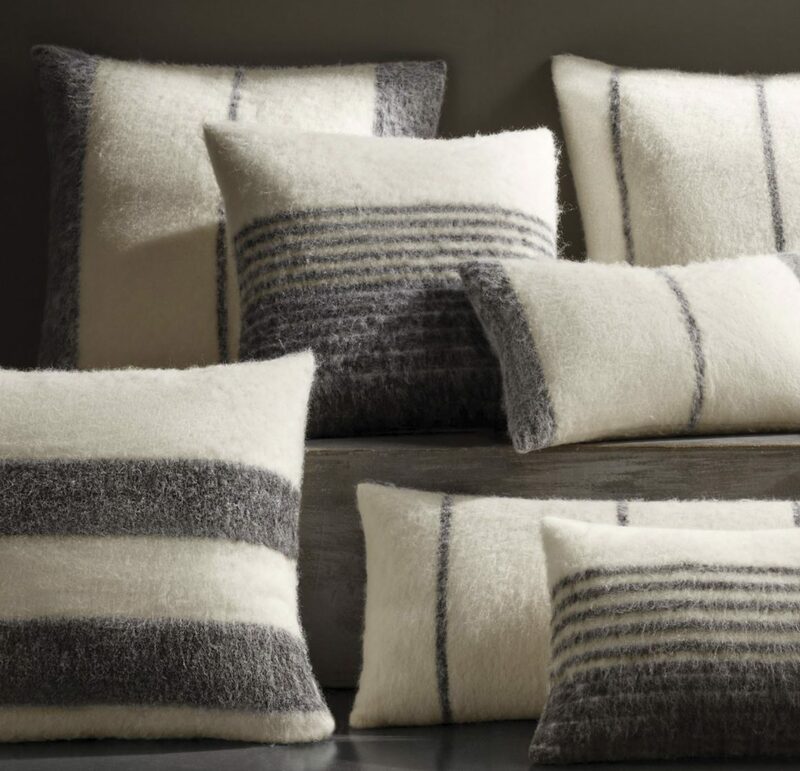 Feather-light warmth and sublime texture characterize these Stowe brushed Peruvian alpaca pillow covers. 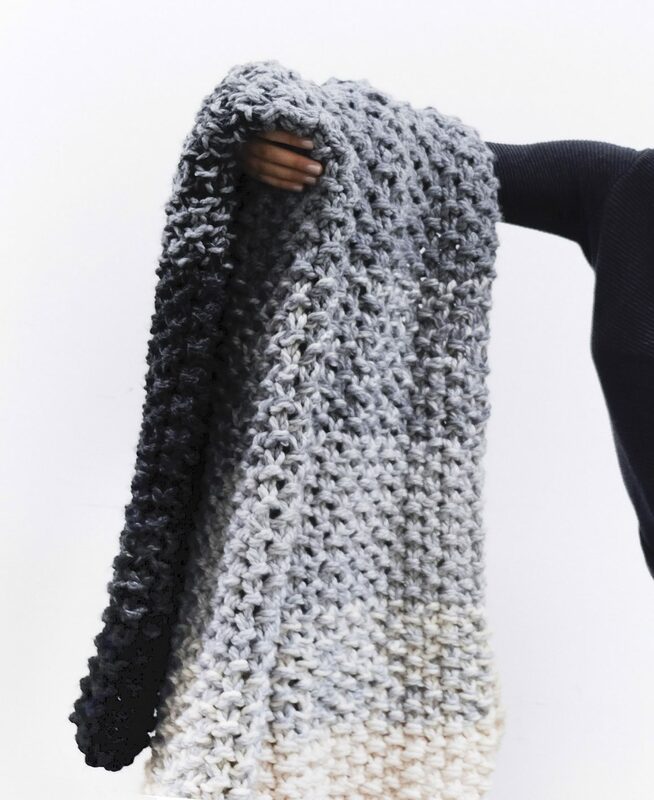 Cozy and modern, these baby alpaca fleece covers are neutral-coloured in graphite and ivory. Tencel is an eco-friendly fabric that is antimicrobial and extremely soft. 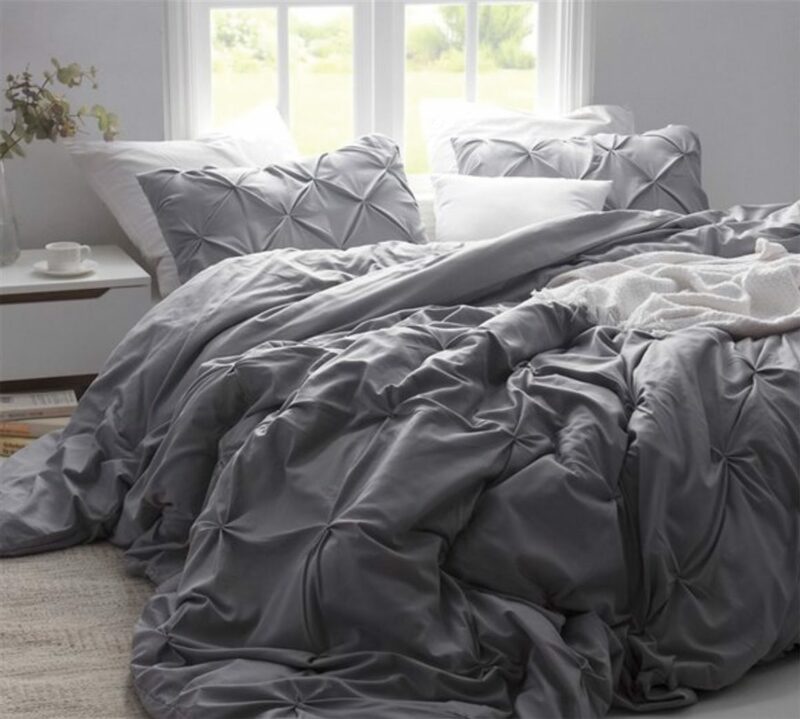 These sheets and duvet cover sets come in seven colours and are woven in a 600-thread count. 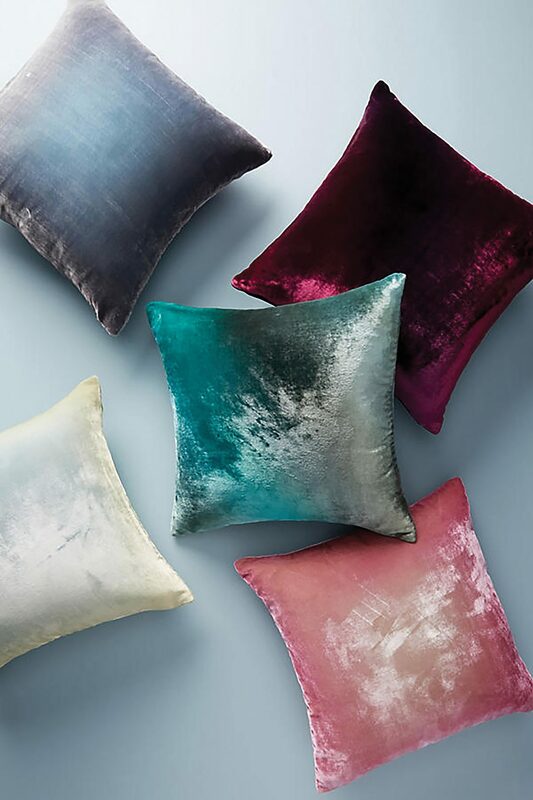 This line of rayon-silk-velvet-blend pillows was designed by Kevin O’Brien’s studio. Hand-painted and down-filled, they add a touch of Old World luxe to any space. $268.00 each. 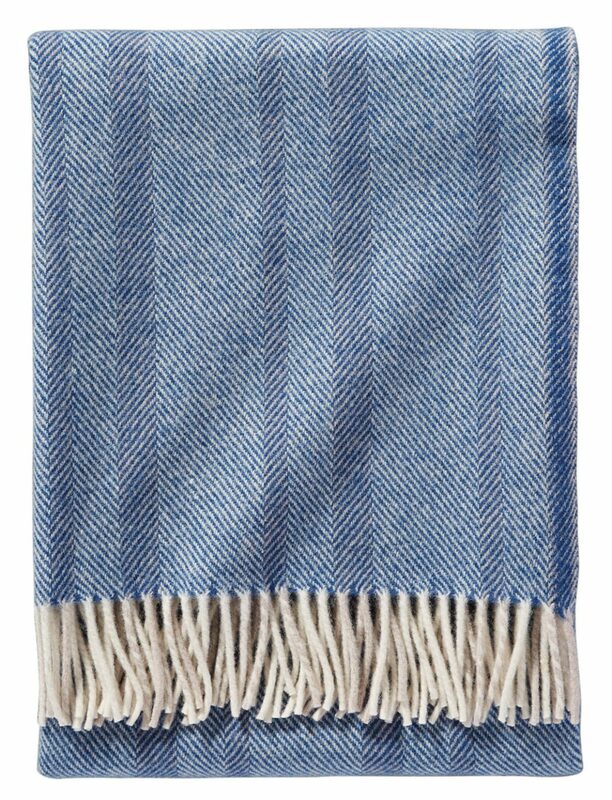 From the oldest weaving mill in Ireland comes the April throw blanket by Avoca. 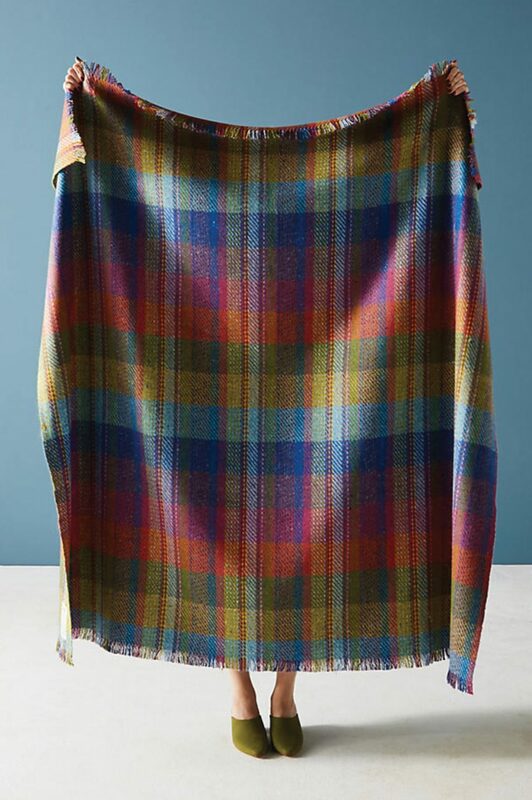 Established in 1723, this family-run business is famous for tailored tweeds and colourful throws. Made of Donegal wool, it measures 72˝ L X 56˝ W. $178. Add a touch of panache to your comforter and pillows with this Hewitt pin-tuck duvet cover and sham set from VivaTerra. Elegant pin tucks create plushness. 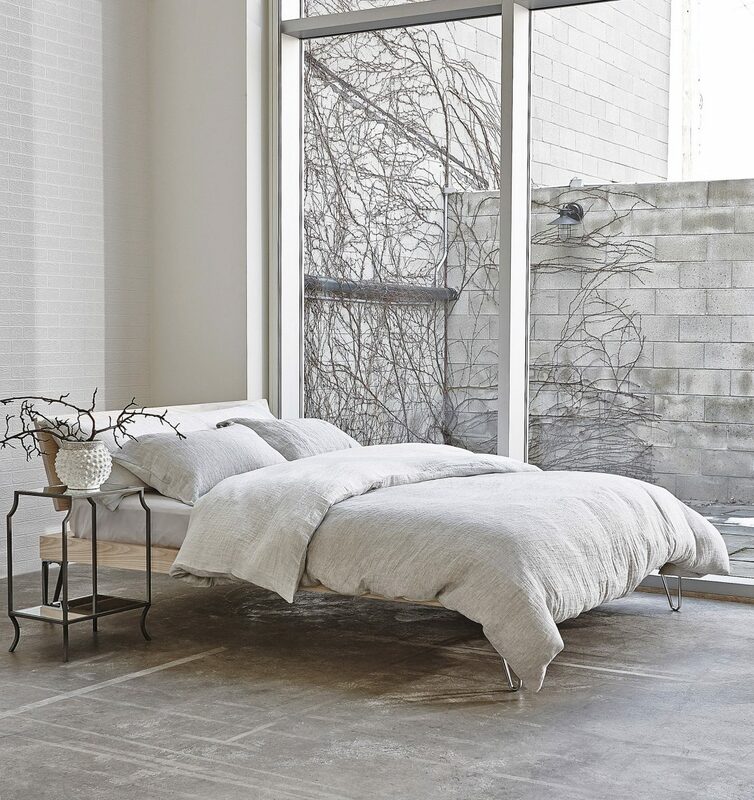 Organic cotton has a 230-thread-count. Machine washable. 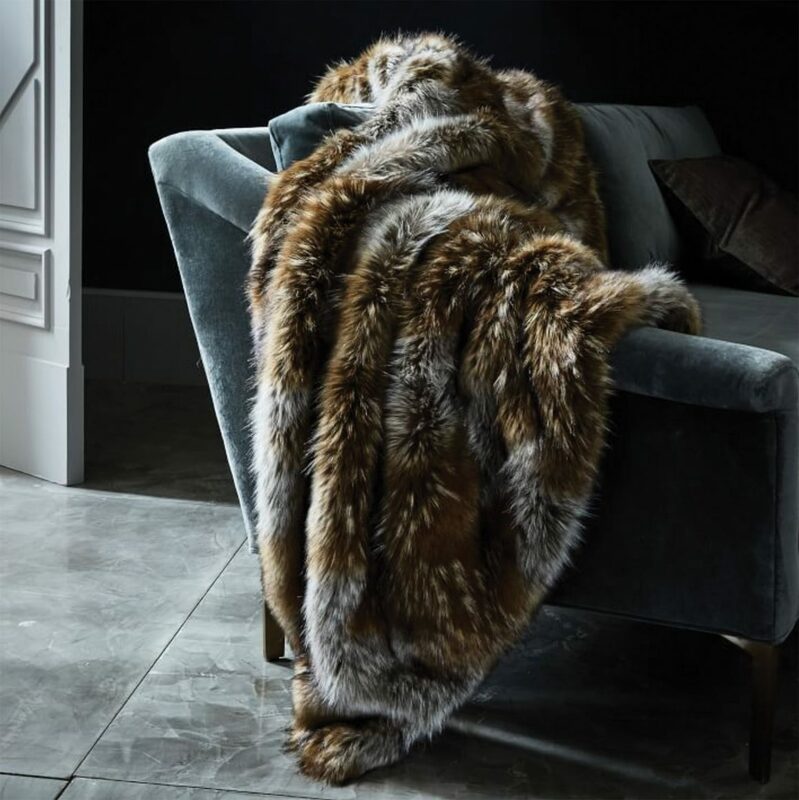 Stay warm under this leopard ombre patterned faux-fur throw. 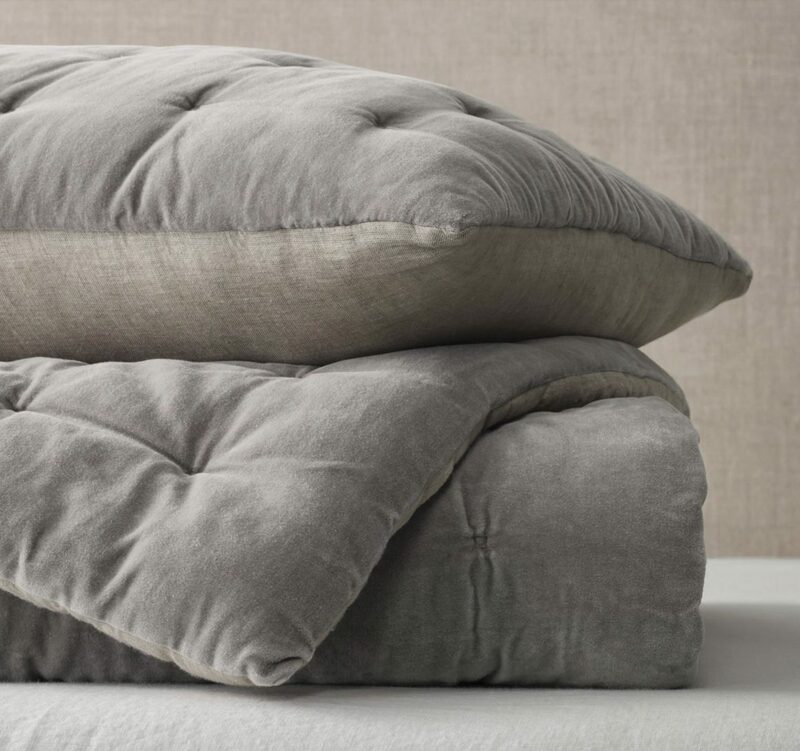 Layered or on its own, this soft, luxurious throw makes a statement in a bedroom, living room or den. 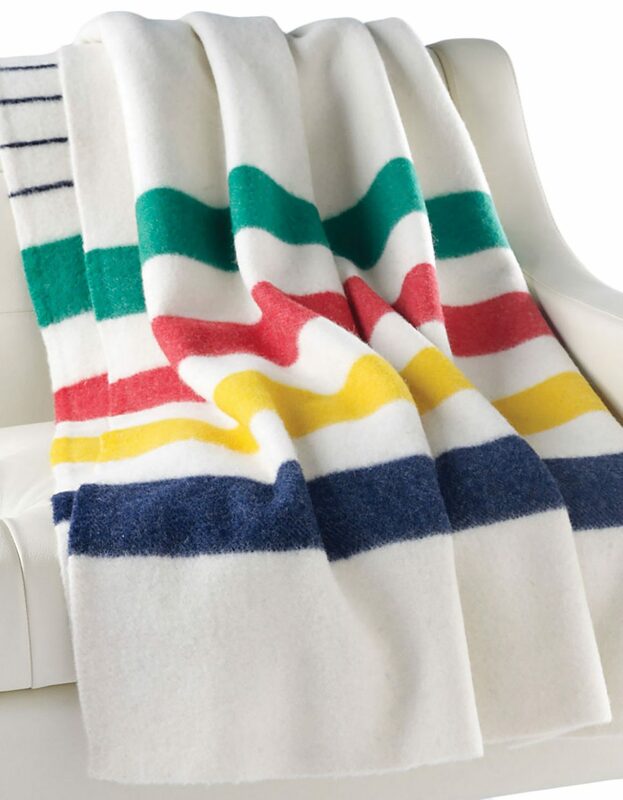 47” W X 60” L.
The Hudson’s Bay blanket was first commissioned in 1800 and is as popular today as it was then. Made in England, this multi-stripe point blanket is 100 per cent woven wool and comes in the standard bed sizes. $325.00 – $550.00. 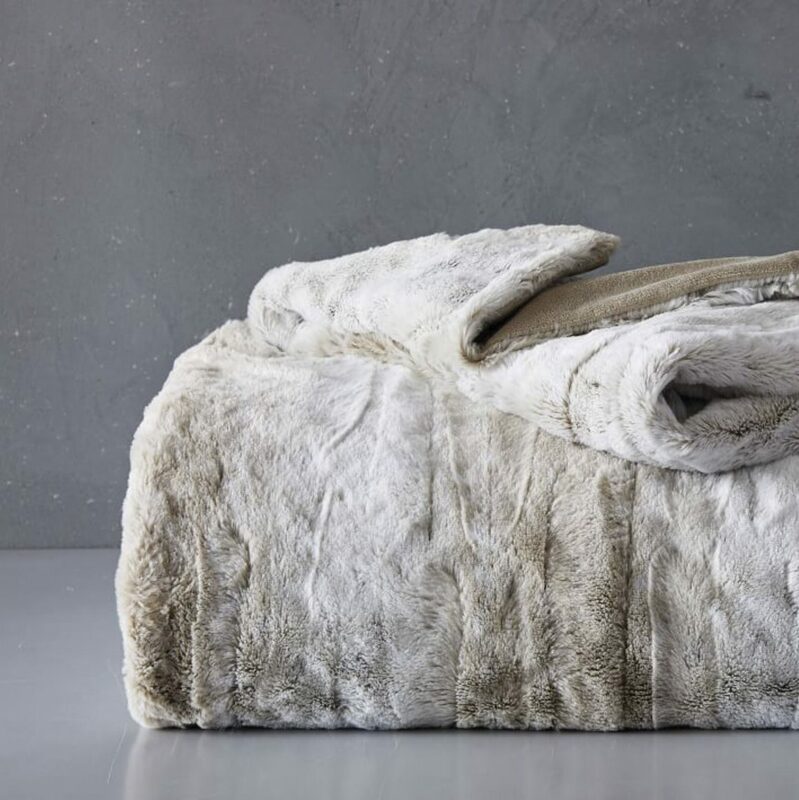 Soft and fluffy, this flecked faux-fur throw is chic and elegant. Perfect for cuddling up, it’s machine-washable. 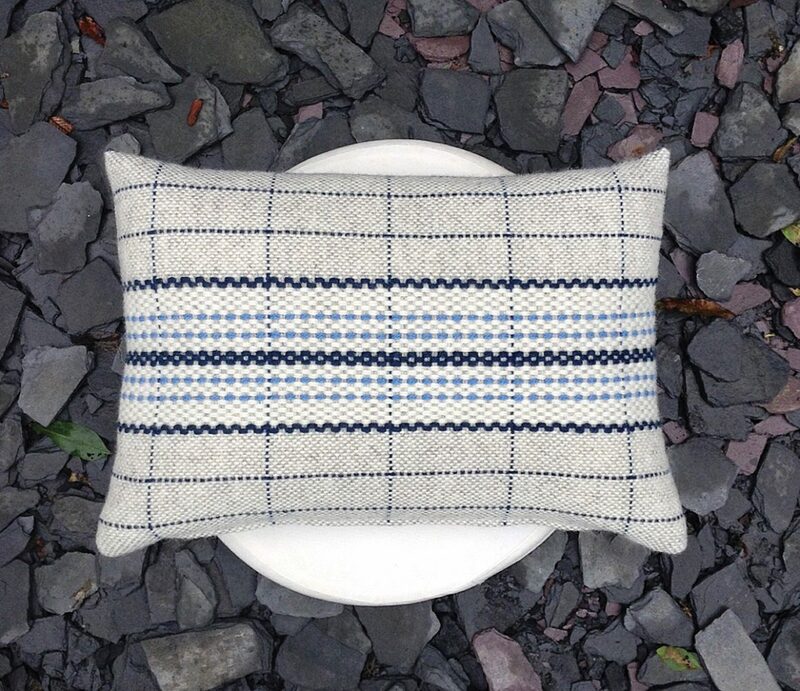 66˝ W X 88˝ L.
Pale grey Jacob wool and creamy white Welsh Mule lambswool is combined in the Alta handwoven cushion by Glenbach Weaving. A dash of navy blue is used for contrast. Ships worldwide. 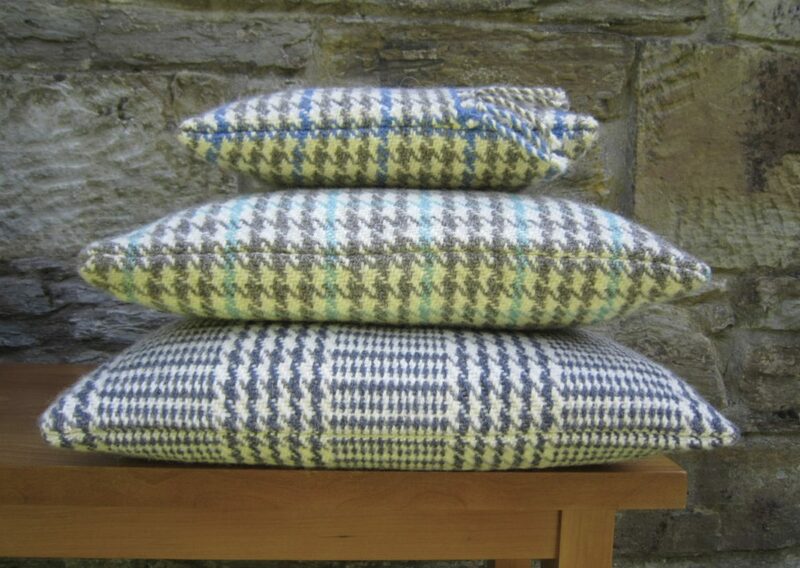 Hand-woven, these cushions are 100 per cent wool that is sourced from Shetland sheep in the Teifi Valley of Wales. Hand-made by a small family-run business, Glenbach Weaving, they bestow a traditional touch to beds, sofas and armchairs. Ships worldwide. 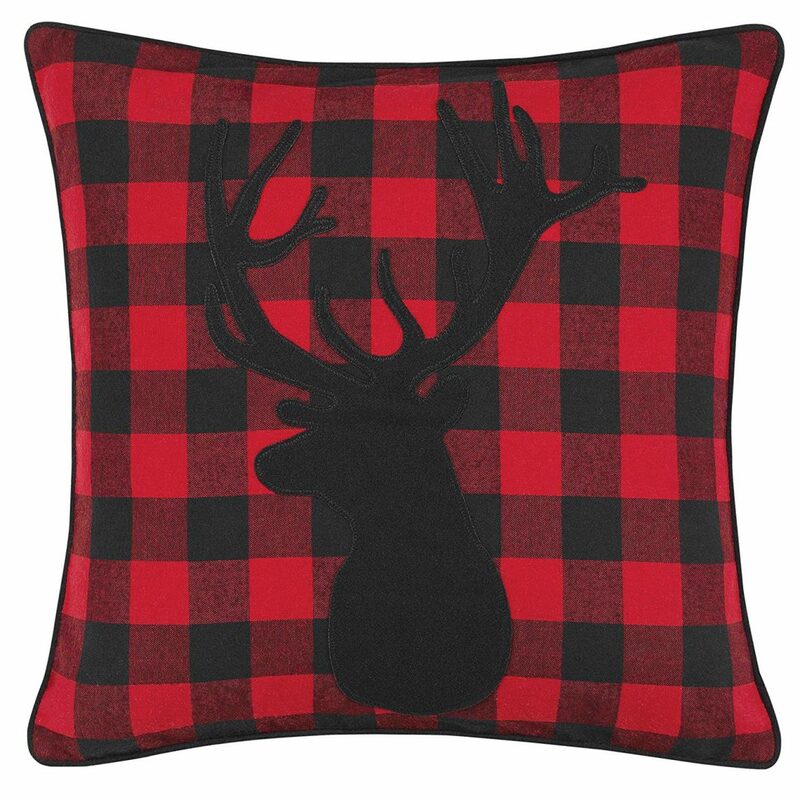 The Eddie Bauer cotton-blend Stag decorative pillow is as Canadian as you can get. Perfect for cottages or city homes, this red-and-black, checkered pillow with a deer’s-head patch has a concealed zip closure. $60.00. These hand-felted fleece rugs come from The Living Rug Company, a lamb sanctuary in Wales. The raw fleece from each lamb is combined with carded wool and then felted to create the rug. 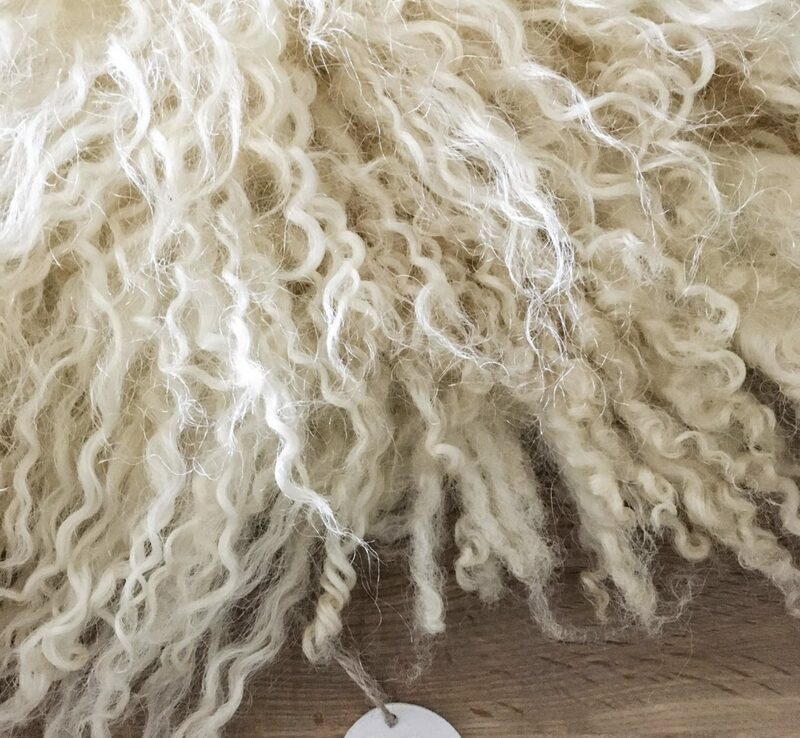 No lamb is harmed in the process, and each fleece is named after the lamb it came from. 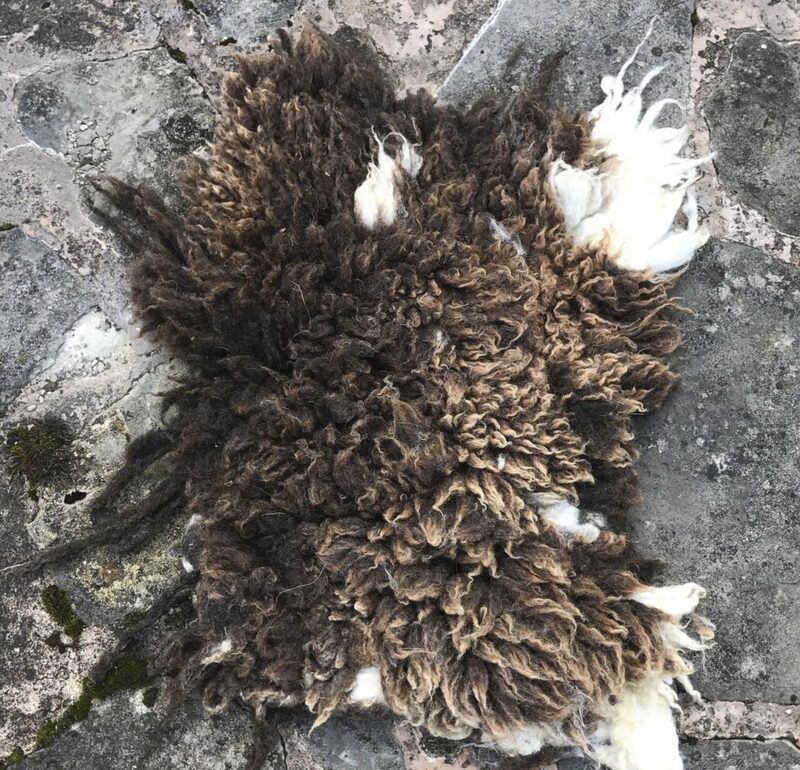 These 100 per cent wool fleece rugs will add a touch of originality to your home as well as help with the upkeep of the lambs. This seat cover from The Living Rug Company is made of 100 per cent wool fleece. Named after the sheep that donated its wool, the fleece is perfect as a chair pad or as a luxury cover for your pet’s bed. No sheep are harmed in this process and all proceeds go to the upkeep of the animals. 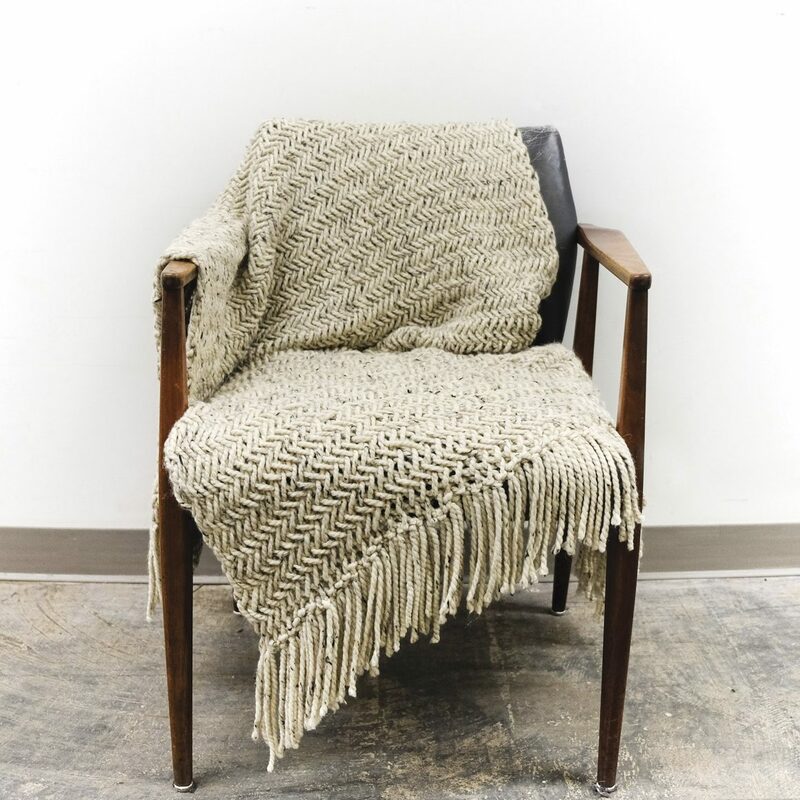 The Pendleton Eco-Wise wool throw is made of non-toxic, biodegradable materials and is produced using environmentally responsible production methods. The fabric can be recycled or composted. $199.